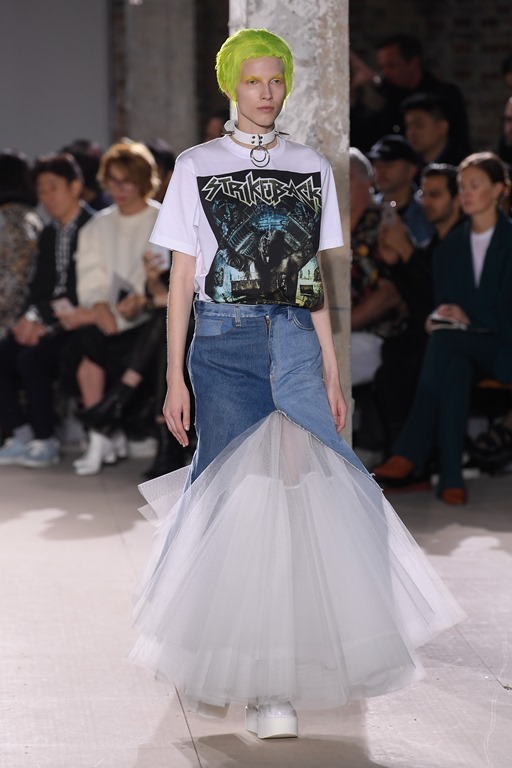 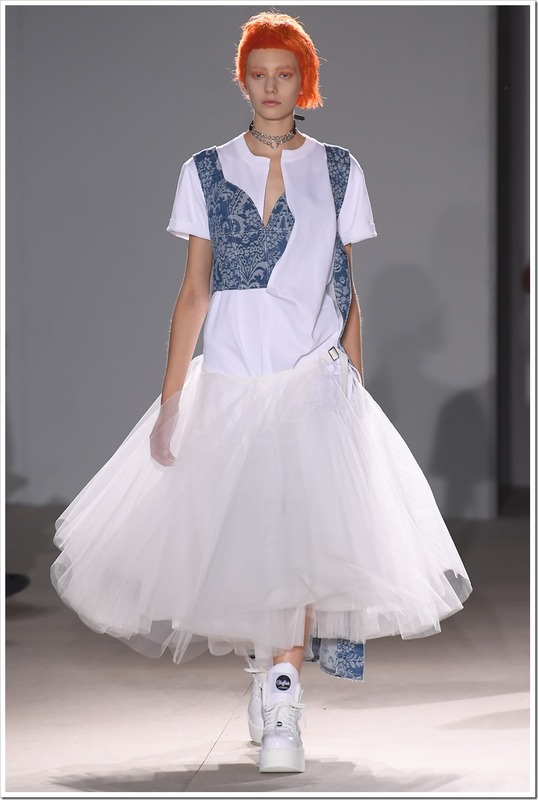 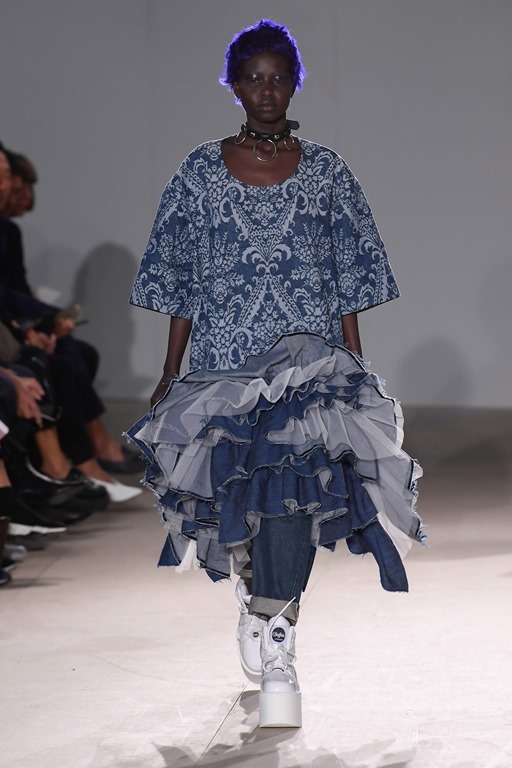 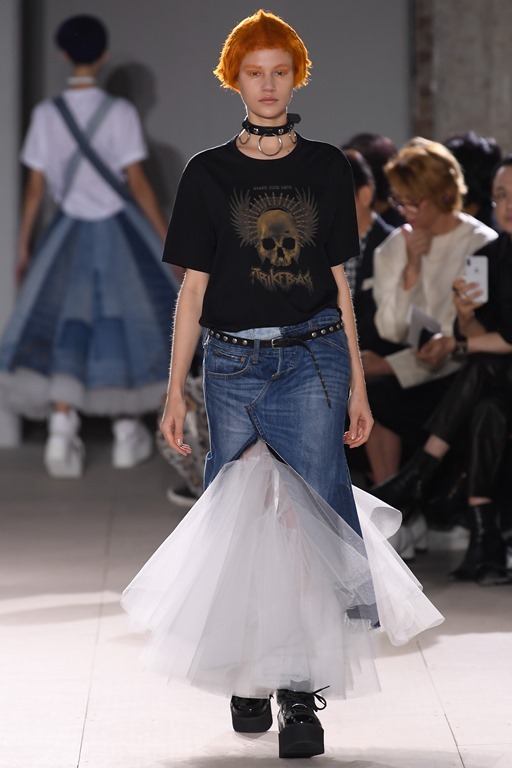 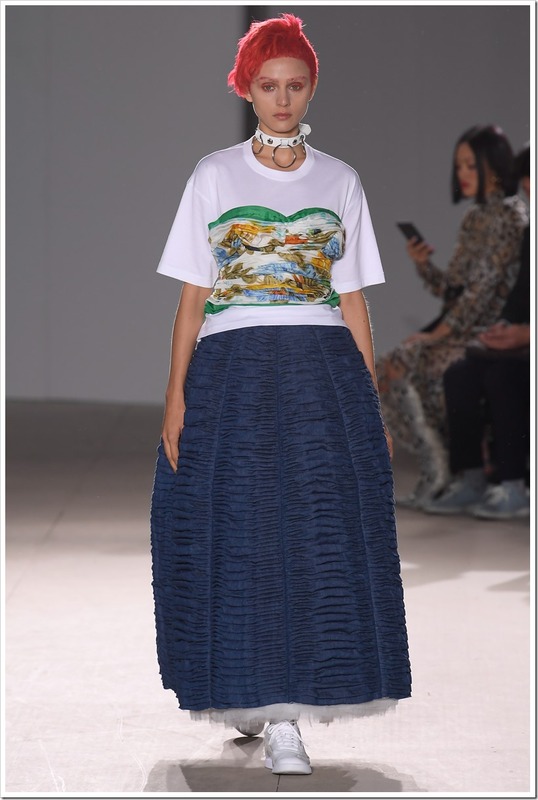 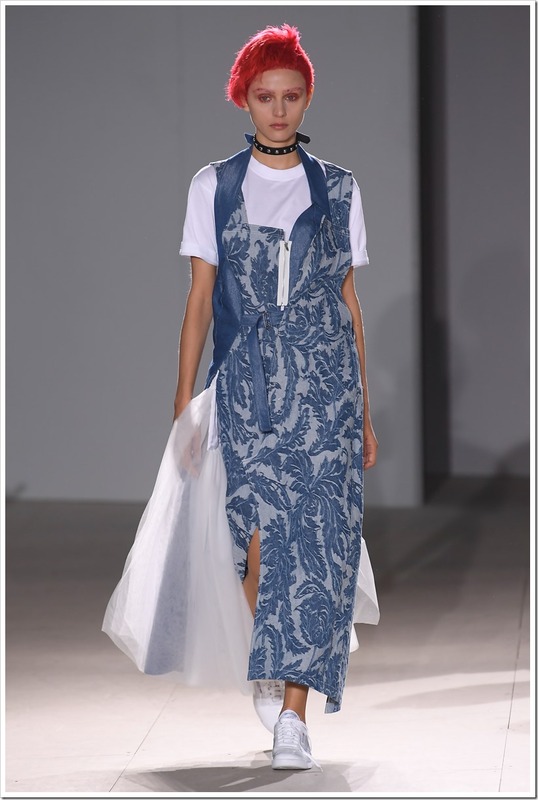 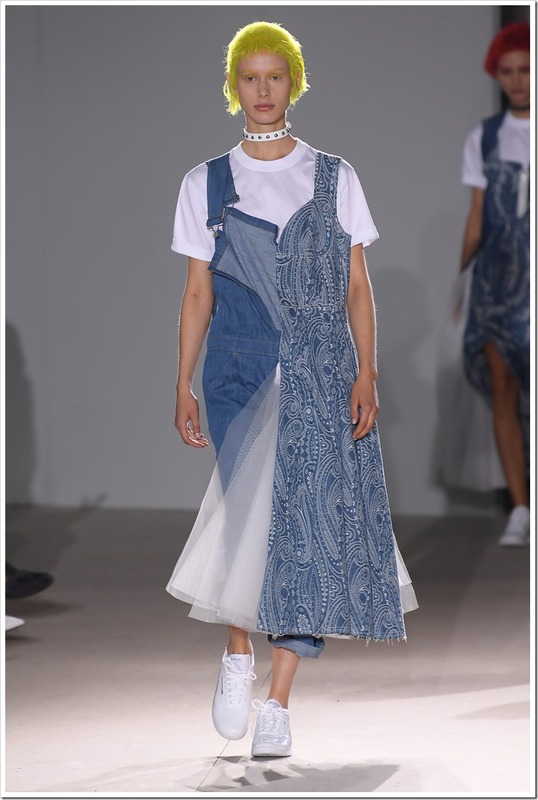 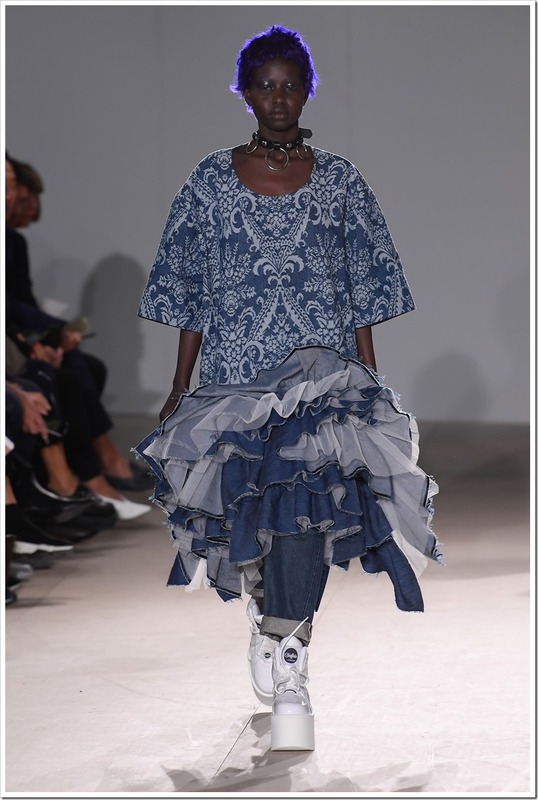 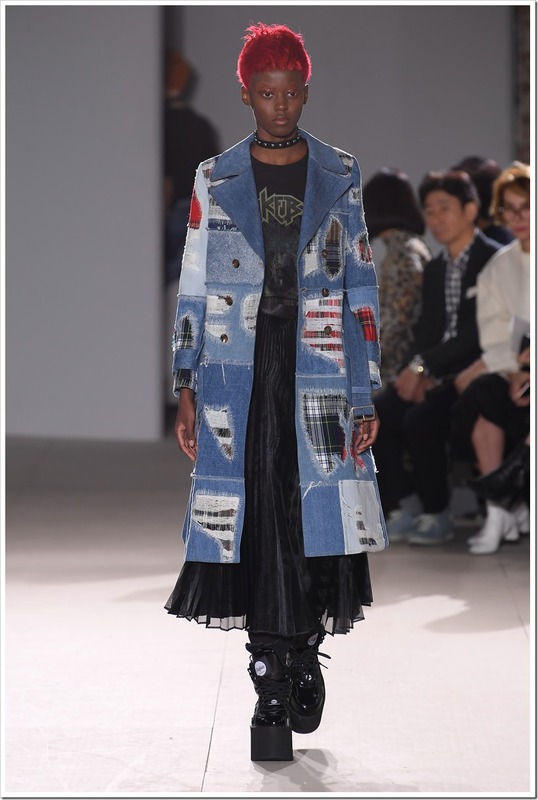 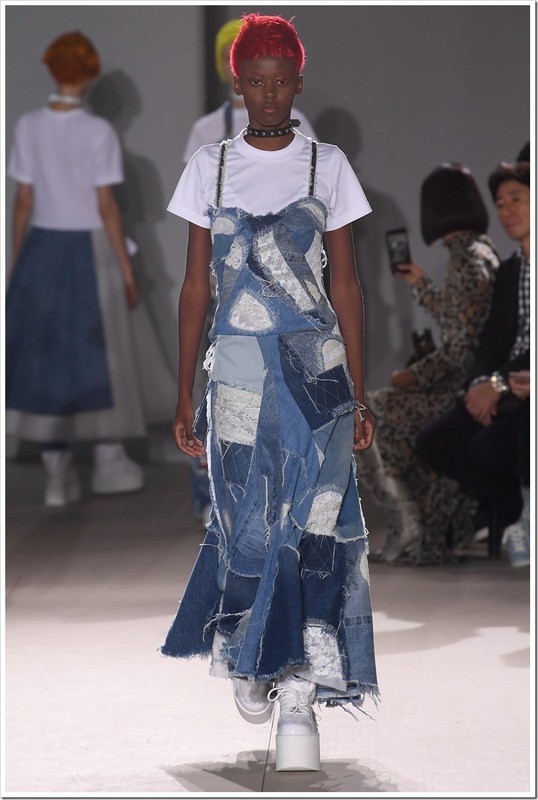 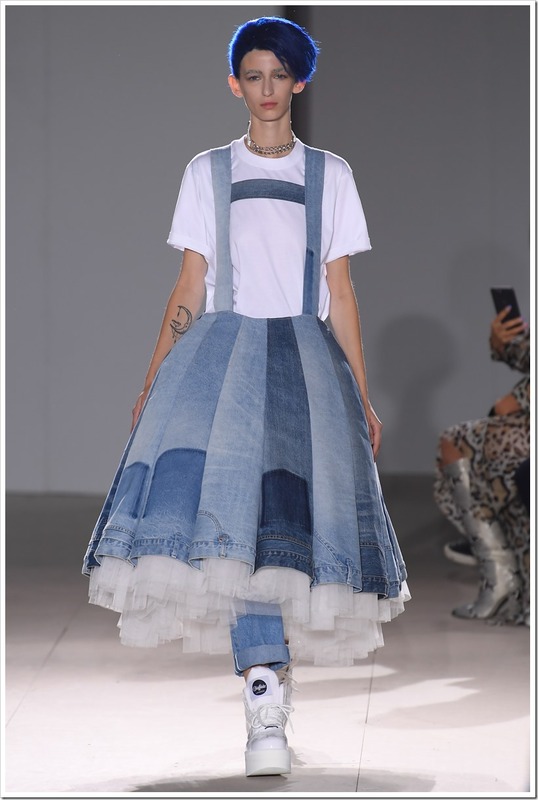 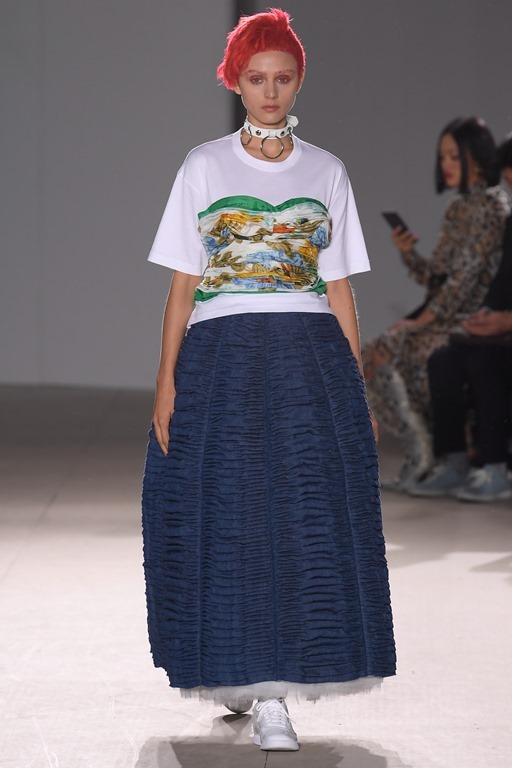 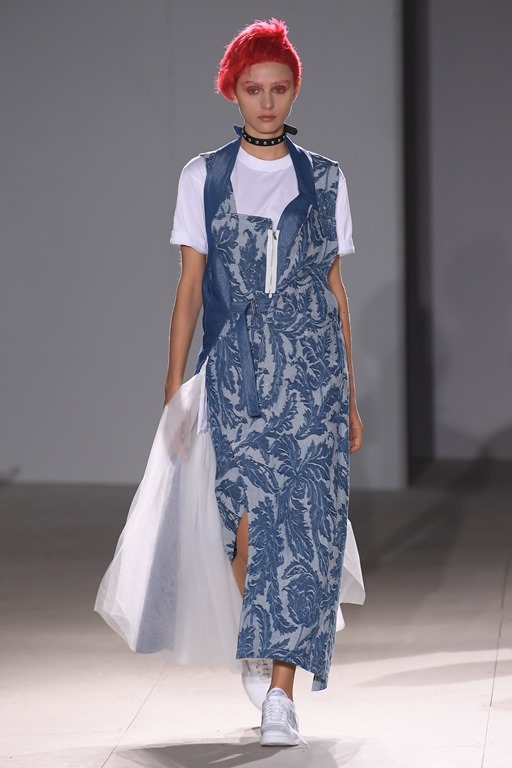 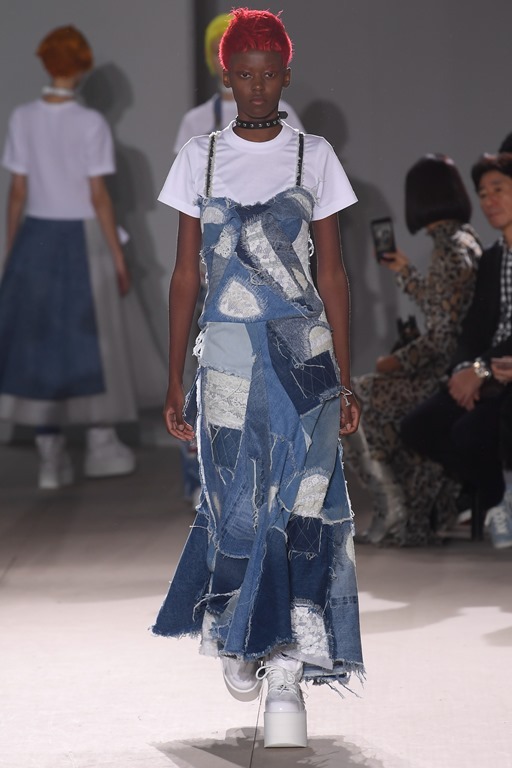 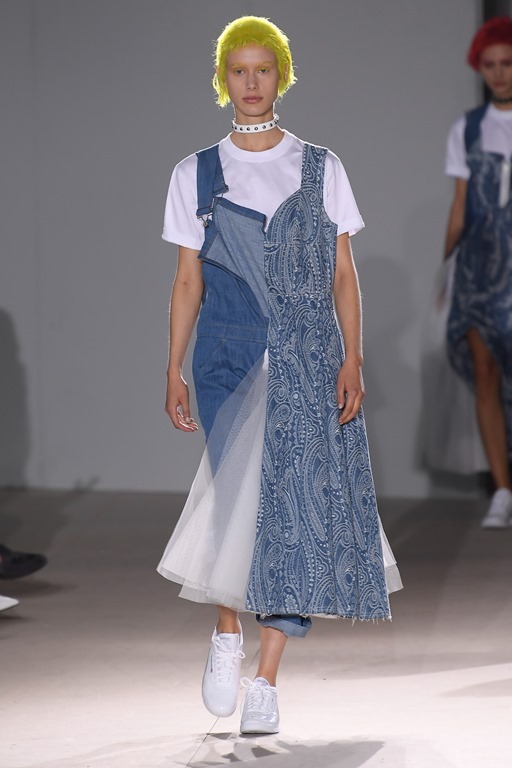 Famous Japanese Fashion Designer- Junya Watanabe, has recently unveiled its SS’19 collection which has very artistic flavor and has been beautifully aligned with contemporary denim fashion. 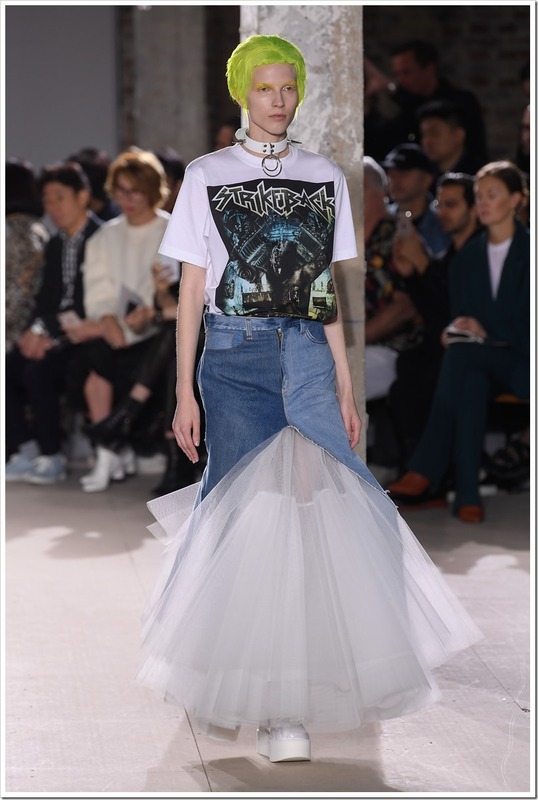 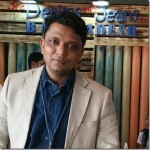 It juxtaposes 90’s of rock n roll fashion with classic & vintage fashion of late 50’s. 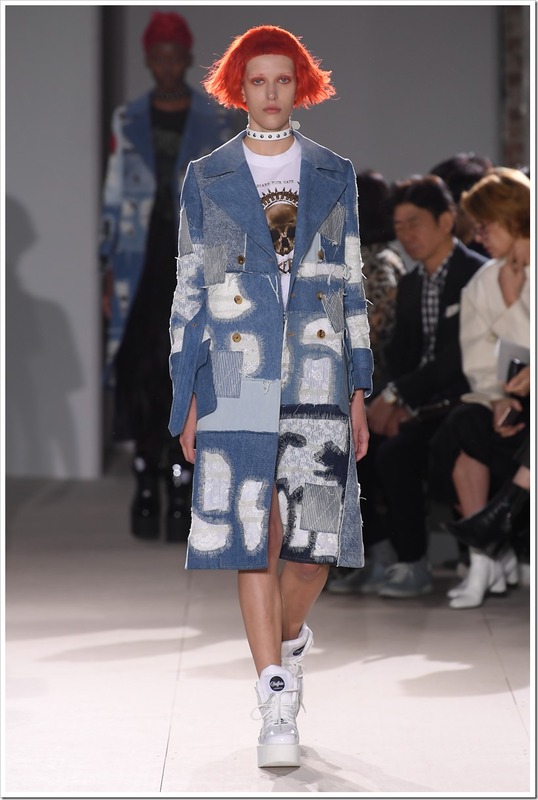 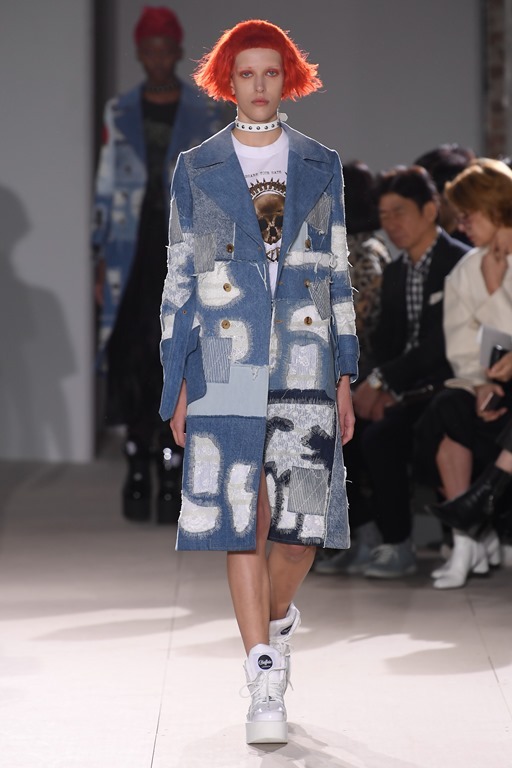 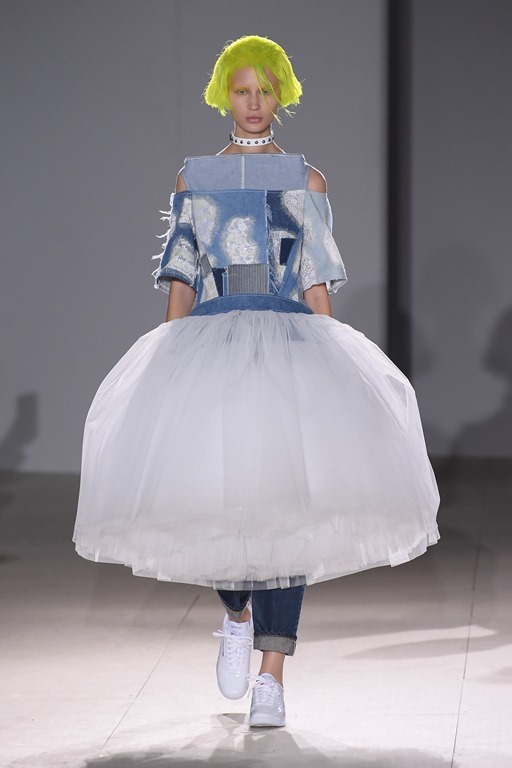 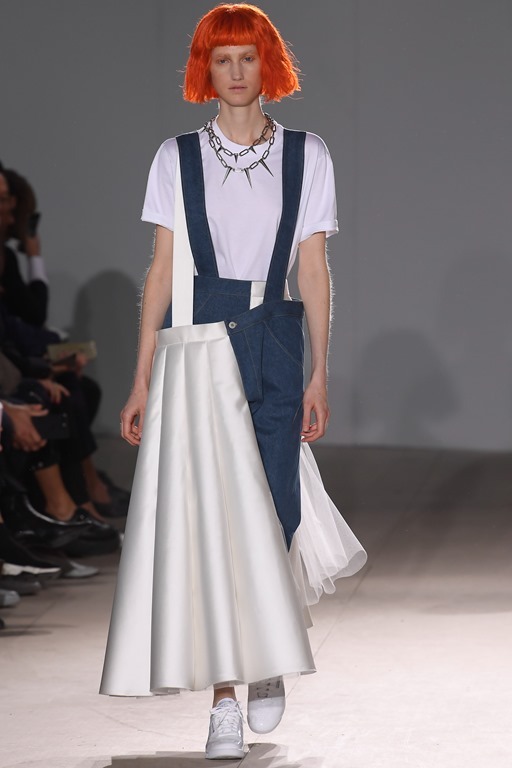 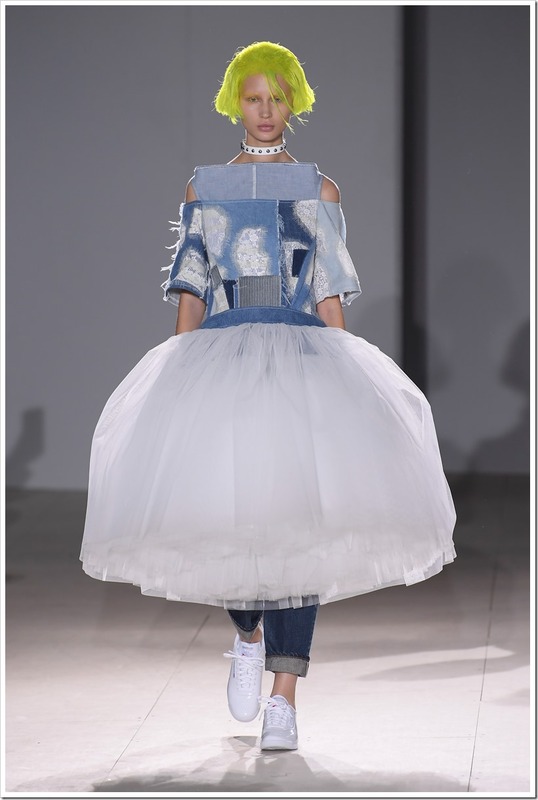 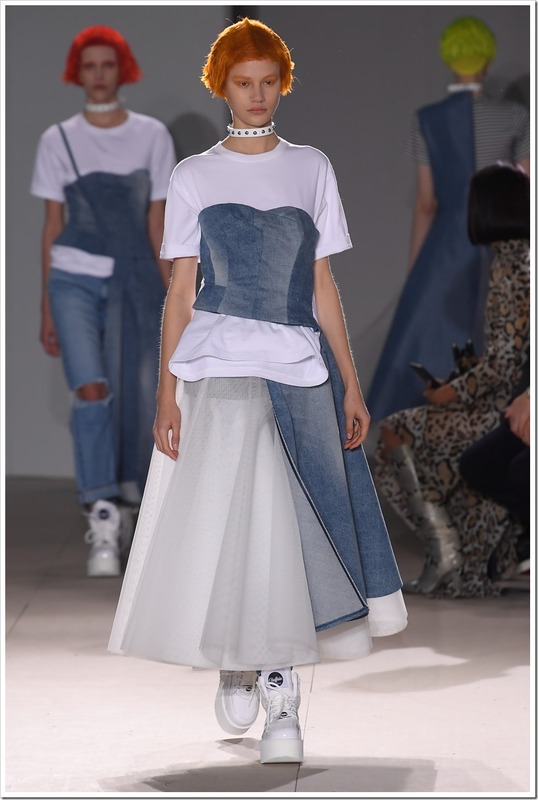 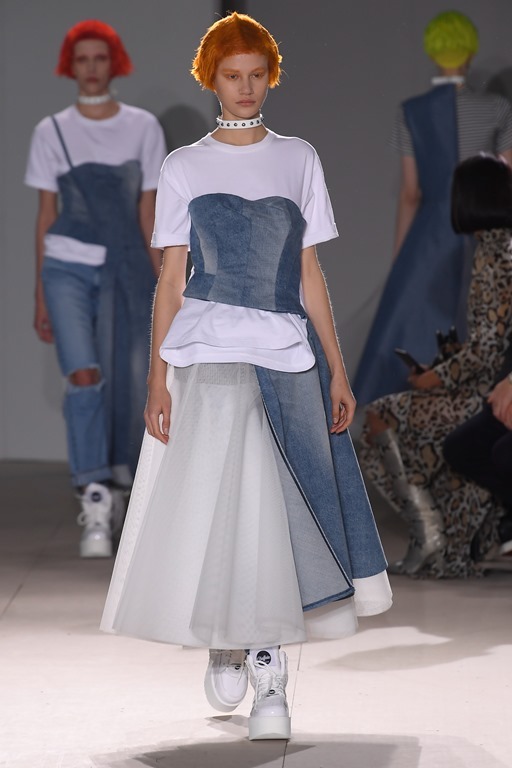 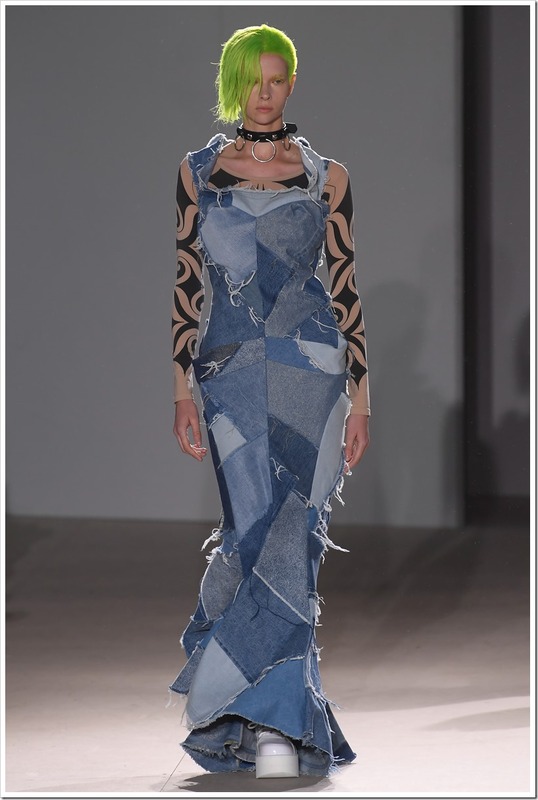 The patchworks and asymmetric denim arrangements which are somehow forte of every Japanese Fashion Designer, can be seen in Junya Watanabe’s collection with some very amazing artistic approach. 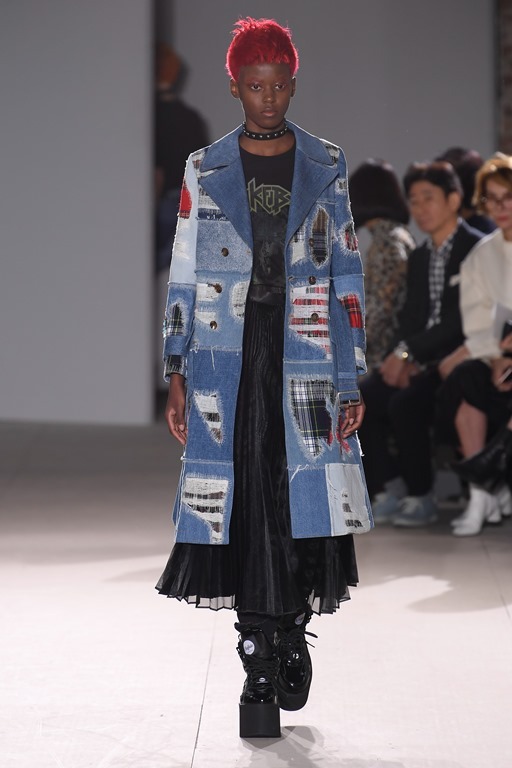 Junya Watanabe is known for his innovative and technologically advanced designs that show an appreciation of avant-garde cutting. 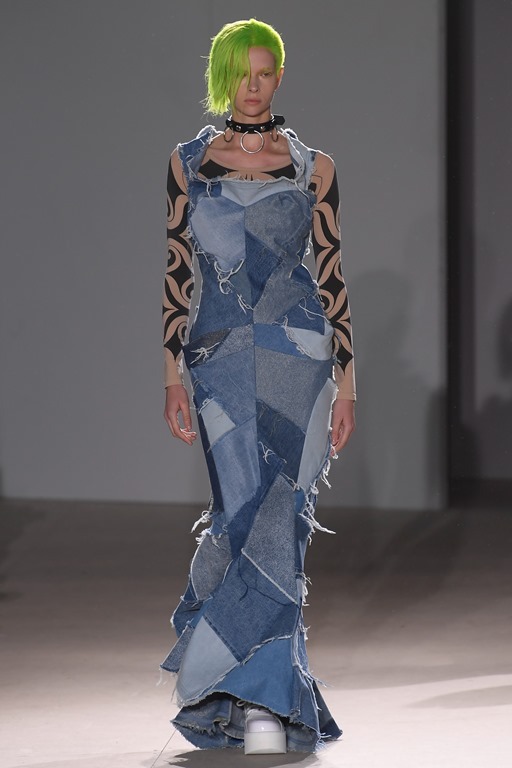 Watanabe has been called a ‘techno couture’ and is renowned for keeping pure lines and stark shapes. 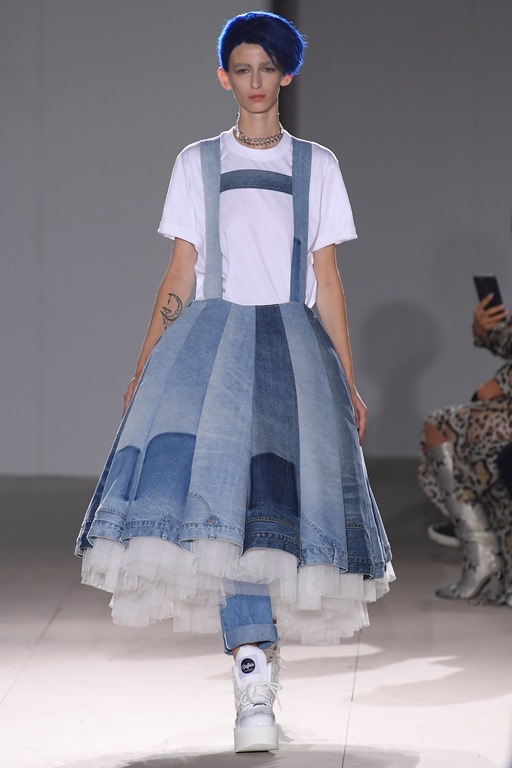 The collection featured funky patchwork dresses and top coats, ‘50s-inspired circle skirts, deconstructed ball gowns and lingerie slips sewn into denim overalls and classic white tees along with the asymmetric use of different fabrics along with denim, differentially washed denim pieces in a single garment construction and colorful non-denim patches.